The hostel is inside an Atlantic Forest Island surrounded of blue green water beaches. 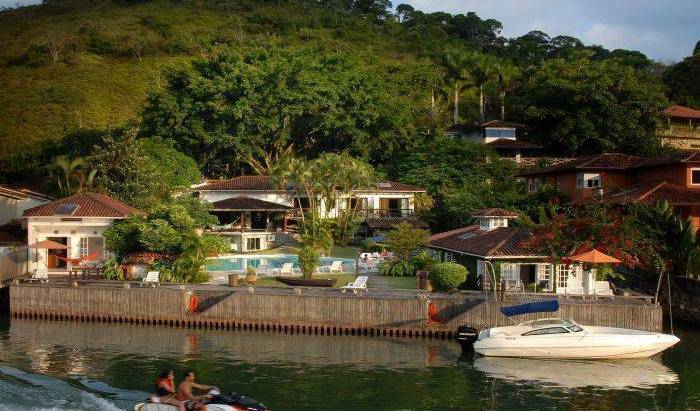 New "Angra dos Reis Boutique Hotel" a true paradise! Melhor hospedagem na região agreste de Alagoas, localizado no centro do Estado e em uma das cidades mais dinâmicas do país. HOTEL EXECUTIVO EM ARIQUEMES, CONFORTO E EXCELENTES SERVIÇOS. The Buzios Adventure Hostel is located in the heart of Buzios, at the main avenue, 600 meters from the center, and at the access of the Tartaruga Beach. It offers comfort, privacy and dedicated personal attention. Hotel/Guest House beach resort town. Uma ALDEIA, uma PRODUÇÃO” A GROUP OF ARTISTIC TRAVELERS, a VISIONARY PROJECT, one MISSION: Making the EXPERIENCE of our guests in BÚZIOS MAGIC and UNFORGETABLE. Free breakfast and pick-up from the Bus Station!!! Alegravila is a great choice for those who look for a confortable, cozy and central place at excelent rates. British owned and managed. Individual Polynesian style bungalows. All with verandahs with stunning sea view. Large tropical garden and pool. Airconditioned and fully equipped. Transfers from Rio available. Elegance and comfort at a reasonable cost. Estamos lhe esperando no Paraíso. The Belem Hostel is a new hostel in the Amazon. We offer jungles trips ans we are near the mains sighs of City. Located in the most exclusive area of ​​the capital, 10 minutes walk from Savassi Rock! and Hostel offers a great experience, with comfort, safety and fun. It is the best option to stay in the world cup. Stylish and innovative hostel in the heart of Belo Horizonte. But more than a hostel, it is also a space for the exchange of knowledge and experiences through conversations, workshops, lectures, and exhibitions. We provide high quality customer services, in our collective and private rooms. It has a great leisure area with swimming pool, barbecue area, game room, tv, bar and a exceptional deck. A beach front guesthouse, with emphasis on harmony, confort and privacy, Pousada Quintal do Mar offers you a warm ambience of incredible beauty and extraordinary taste, perfect for couples. 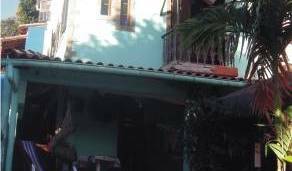 We are a very cozy and simple hostel in Bonito, with breakfast included in all prices. We are the coolest PubHostel in town. Free Wifi and nice atmosphere!!! Nobile Plaza Hotel: Comfort, good prices, quality and safety. Albergue na praia de Tucuns - Você mais perto da natureza! 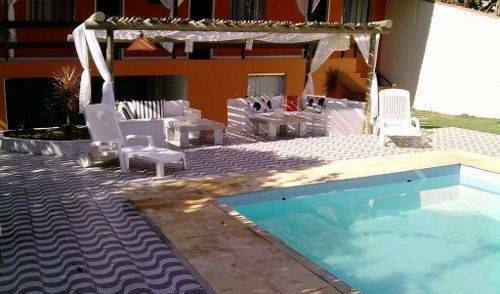 Cabufa - Cabo Frio Inn, your hotel near the beach, on the way to Buzios city. Hotel, Guest House in the Litoral Norte of Bahia, find the best Beaches close to us. With great location, our structures have a cozy TV room, Wi-Fi, library, a beautiful garden, barbecue place, wood-fired pizza oven, wood oven, fully equipped kitchen, double rooms and shared rooms. Pousada do Carlinhos - Sinta-se em casa. Hostel in Florianópolis, South Brazil. Nice and safe place. Located at the heart of the city, near banks, restaurants, shopping centers and bars. It's an Island with 42 beaches to see, many are virgin yet. 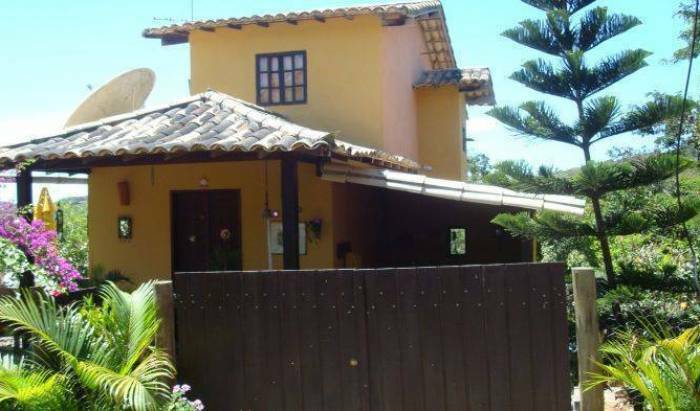 Ecological Bed and Breakfast between the Peri Lake Park and Armação Beach. Floripa Key: Keep the vibe! Feel at home at this relaxing comfortable environment surrounded by nature! We are only five minutes walk from the heart of Lagoa Da Conceicao e whithin a mile of the world famous Joaquina and Mole beaches. This is a very cozy place where you will spend the best vacations ever! Welcome to Panorama Hostel EcoBackpackers, your home in Florianopolis, the Island of Magic in southern cost of Brazil. The hostel is entirely new (building, furniture, …all), was inspired and designed with the new concepts of Green building. Floripa the Hot island to be! Located at unique spot beachfront at fishing village of Barra da Lagoa, here we won´t gi you just beds, but all you need to enjoy yourself in a fun, friendly, safe enviroment! We are whether a Cozy inn and a very nice hostel, located in one of the best places of Florianópolis, You should come and see us! A Mar do Leste Inn cares about your well being and comfort so you can enjoy unforgettable vacations. You must come for the beaches, the surfing, the snorkelling, the seafood and, of course, to party like only Brazilians know how. Bring your camera. ​ Aloha Hostel is located in Fortaleza in the region of Ceará - Brazil. Our services consist in private rooms and dormitories with air conditioned, camping area, Wireless Internet, cable TV, lockers, communal kitchen , breakfast included, BBQ area, bar, swimming pool, leisure, laundry services, cleaning, safety and fun. Hostel Natura, quiet and 100% nature contact close to the airport and also the argentine border, come enjoy your stay in iguassu falls! BE our guest! Welcome to Paudimar Falls Hostel, We appreciate your preference We are located in the Foz do Iguaçu centre. Big rooms, lockers inside and outside the rooms for your safety, swimming pool. Top rated and one of the best Hostel in Brazil. Guaranteed the higher quality service in Iguassu. Downtown location in a very green and tranquil area. To visit Iguassu Falls you need to be rested and relax, we offer all facilities you need. Del Rey Hotel it´s a charming hotel placed at the heart of Foz do Iguaçu city 30 min away from the Falls, with 40 moderno apartments the hotel offers services and products chasing the total satisfaction of our clients. Come to see the Brazilian Falls and stay with us! Safe, clean, quiet, downtown, near the airport, Iguassu water falls, Argentina and Paraguay. A pousada Brisa do Mar localiza se na paradisíaca praia de Galinhos oferece conforto e tranquilidade. Its cozy and friendly ambience, together with a close contact with nature makes your stay at Pousada Vila dos Pássaros Inn an unforgettable vacation. O Hotel Bahiti fica a menos de 3 km do centro de Itajubá. O hotel está a 10 minutos a pé do centro de Itajubá, e a 70 km do Aeroporto de Pouso Alegre. João Pessoa best budget and hostel athmosphere - Paraíba - most friendly and complete hostel to stay over. Hospedagem domiciliar na Chapada Diamantina, Bahia. Apiaka Hostel está localizado um dos melhores bairros de Manaus, no parque 10 de novembro, possui uma ótima estrutura para quem busca economia e conforto em quartos coletivos e privados numa temática despojada e alegre. Stay in Manaus like you feel in home. Hotel in Manaus near the teatro Amazonas-Brazil. O hotel de selva é construído na forma flutuante, instalado na floresta amazônica. Is a new Hostel in DownTown Manaus, near the Opera House, Meeting of the Waters, and other attractive. Charming, exclusive bed and breakfast accommodation in an outstanding Brazilian beach paradise! Friendly Lake-side house sat on the tranquil Lagoa Bom Fin. Just 30 mins from Natal it is the ideal place to unwind & relaX. O Clube Hostel São Francisco localizado entre o mar e a montanha, na zona sul da cidade de Niterói, se identifica pela simplicidade e pelo conforto de uma casa brasileira, prezando por um ambiente limpo e familiar. In a charming 1920's house turned into hostel, Brasileranza sits in one of the best neighborhoods of Niterói and offers a calm and traquil environment to its guests. With great accommodations and ever better service, you'll feel at home here. We are a rustic-style laidback hostel located right on the beach Praia do pontal. You will be at 5 minutes walking distance to the colonial historic district of the village where you can find everthing that the city has to offer in art, culture and music. To a toa (Meaning to chill out in Brazilian Portuguese) is a beautiful and relaxing Pousada/hostel Situated a few blocks back from one of the most gorgeous beaches in Paraty (jabaqaura). Located on the seafront, the Sereia do Mar is a unique place in a fascinating scenario: the Jabaquara Bay, a beach of calm waters and unique horizon, just a few minutes walk from the historic center of Paraty. Esta pousada cercada por uma rica Mata Atlântica está localizada a 8 km da Praia de Paraty-Mirim e do centro histórico de Paraty. Mar, montanha, piscina natural, cachoeiras e o aconchego da sua casa! Cosy and friendly pousada. Stay with us and feel better then home! A guest house with full service hotel and caring service of an inn. Photo Gallery Family inn recently built with excellent infrastructure. Apartments for up to three people, with or without air conditioning. Paraty Bed & Breakfast. We believe that for price, content, location and attendance our place is one of the best in Brazil, so come and stay with us and tell us what you think. A Beira Mar, ideal para seu descanso e lazer. Zicatela Beach Hostel is located in PIPA, one of the most famous and beatiful beaches of the Brazilian coast. A perfect place to have contact with nature and a wild night life. Pipa Beach hostel is located in the center of town 50 meters from the best bars and restuarants. Fully equiped chalets and apartments in a nice green tropical garden, the layout is open and airy. With a friendly multillingual staff. hotel & hostel close to the Lapa arches, the liveliest meeting point of Rio de Janeiro. Le Houe Hostel, Rio de Janeiro, offers basic accommodation in Rio de Janeiro with an included buffet breakfast, on-site bar, and free Wi-Fi in all areas. Copacabana Beach is a 10-minute walk from the hostel. Just 4 blocks from the famous Copacabana Beach, this hostel offers private rooms and dormitories, plus breakfast, a bar and 24-hour reception. Air conditioning and free Wi-Fi are available. Facing Siqueira Subway Station, in Rio de Janeiro, this hostel offers breakfast, free shuttle service and air-conditioned dormitories. The tour desk arranges city tours and capoeira lessons. Wi-Fi is free. The hostel is in the heart of the bohemian neighborhood, Santa Teresa, within walking distance of Lapa (the best night life in Rio de Janeiro, ask any Carioca...) which is also close to downtown touristic landmarks and only short bus ride to the beach. Lapa Astral is a nice, cozy, clean and safe place, in the heart of Lapa, the most bohemian neighborhood in Rio, just a few meters from the famous Selaron stairway. Outside Surf Hostel has a friendly atmosphere with happiness and comfort for you to enjoy Rio de Janeiro, “Cidade Maravilhosa” as it is called by natives, and all good things it has to offer. Hostel familiar localizado no Recreio dos Bandeirantes, Rio de Janeiro. eHostel offers private and shared accommodation only 300 metres from Rio de Janeiro’s Copacabana Beach and 2 blocks from Cantagalo Metro Station. Central Rio de Janeiro is 10 km away. Maraca Hostel is located 800 metres from Rio de Janeiro’s Maracanã Stadium, offering shared and private accommodation, a pool and free Wi-Fi. The football-themed hostel is within 16 km of the Sugar Loaf and Christ Redeemer. This the new hostel in rio de janeiro opening in DEZ 2008 and the first hostel in arpoador. Our intentions are simple: a place JUST TO SLEEP along with the LOWEST HOSTEL COST in RIO - COPACABANA. Santê is a lovely spot in the heart of Rio. A place for you to feel at home in a friendly, artistic and bohemian atmosphere. A cooperation between Favela Experience and the NGO Ser Alzira de Aleluia gives a safe cultural immersion in the favela of Vidigal, with the most amazing view, while using a significant part of the incomes for social programs. Front Tunel Reboucas, Fonte da Saudade Street, Up Sacopa Street, Vitoria Regia Street, number 797. white gate. YOLO Hostel Rio, is a perfect Hostel in the perfect location in Rio! Next to the beach, to the Mountains and to all the beautiful things Rio has. A cute house in the neighborhood of Botafogo, with a gorgeous view of the Corcovado Mountain and the Christ Redeemer Statue from its sundeck. Hostel normal familiar.. boa acomodação e muito bem estruturado e muito aconchegante. In the heart of Rio de Janeiro, Brazil, in a neighbourhood with a historic and artistic atmosphere we offer you, with a warm and friendly welcome, quality accommodation with comfort, security and affordable prices in our guesthouse. we are in the heart of Rio de Janeiro, in the pleasant and beautiful neighborhood of Santa Teresa, near many restaurants, bars and a 10-minute walk from the most lively areas of Rio de Janeiro, Lapa. We are just meters from the subway . The place where you stay makes a big diference on your trip. Make the right choice. Copinha Hostel is best-located in Copacabana, THREE BLOCKS from COPA BEACH!!! NO CURFEW! All the ensuites have private bathroom and air conditioner!! ITS INCLUDED also IN THE RATES OF ALL ROOMS, BREAKFAST! Come and ENJOY with SAFETY Rio de Janeiro!! Come enjoy your best holiday in Rio de Janeiro. Guaranteed satisfaction!! Bed and beakfast in Rio. A harbourer and comfortable place to stay in Rio de Janeiro, in front of the Maracanã stadium where the 2014 World Cup final mach will take place. Colinas Residencia - 5 minutes to Ipanema or Copacabana beaches! A new concept Hotel in LAPA, Rio de Janeiro. A place to experience the B side of Rio! Experience vibrant favela life in legendary Rio de Janeiro with your stay in Casa Alto Vidigal. The building is located in a condominium in of Barra da Tijuca closed to the beach, the nicest area of Rio de Janeiro. The flat service is fully equipped for your convenience and recreation needs. 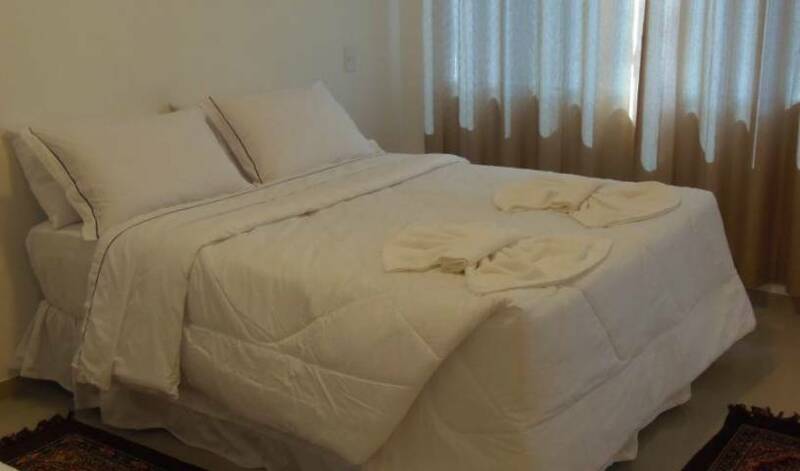 This is a comfortable two bedroom apartment in the heart of Botafogo. You've arrived to a special place, The Misti House! Free Pick-up & Free Brazilian breakfast! We're Hospedaria Rio, your home in Rio de Janeiro! A hostel that values comfort, service and personality. We want you to feel at a friend's house. A welcoming friend who has the best city tips. Casa 579 is a colonial house located in Santa Teresa, Rio de Janeiro. With an amazing roof terrace with 180 degree views of the city. Botanic Hostel is the newest boutique hostel in Rio de Janeiro. We are beside sugar loaf in the red beach and we have urban transport for you vary beaches and tourist points. Hostel New Ipanema is located in the heart of Ipanema, one of the safest and most desirable districts of rio de janeiro. Ipanema's best located hostel only 1 block from the beach. Set in a fully renovated colonial house with a spacious garden area. bed & breakfast for the Olympics in Copacabana. , in excellent location. Trade 24 hours. Next one block from the metro and all means of transport. Next three blocks from Copacabana beach and a few blocks from Ipanema beach.. STUDIO Internet wi fi, tv por cabo, roupas de cama e toalhas, banheiro confortável, pequena cozinha. Where the city meets the rainforest - a special pousada. Leblon Spot is Rio's first design hostel. In addition, it is the city's first hostel specifically conceived for that purpose. Everything here was thought through for your comfort. By far the best location! See for yourself why we are a top rated Hostel. Newly renovated, clean, comfortable and modern accommodations. Just steps from the beach. Our CHILL OUT HOSTEL is perfectly located in the heart of the charming and safest neighbourhood of Graça. Just minutes away from the carnival parades in the city and beautiful Porto da Barra Beach and Farol da Barra Beach. Pousada Cancun, its a wonderful place to spend your holidays of the best way, close to the beach, sun, anda frindly treat. Lovely beach hotel at one of the most beautiful beaches in Brazil. Spacious bungalows (suites) with veranda and hammock, pool, restaurant and bar. We offer airport transportation, excursions, taxi service and car rental. O Fonte Nova Hostel oferece um espaço de qualidade em Salvador para todos que desejam se hospedar em um local privilegiado no Centro Histórico da cidade, com Wi-Fi, ar-condicionado, bar e restaurante no térreo! Hotel located at the heart of the historic district Pelourinho, at Salvador, Bahia, Brazil. The hotel is in writer Jorge Amado's biography. 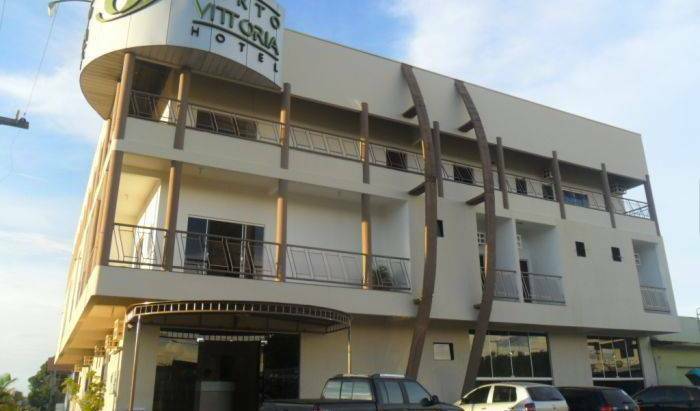 Whether for leisure travel or business, the Stella Tropical Inn is an excellent choice for lodging in Salvador. 3 bedrooms to let for short periods in a private flat, one with private bathroom and 2 with shared bathroom. Wifi internet provided, TV shared in a large living room with hammock. Close to main beach, across the street of shopping mall and hiypermarket. 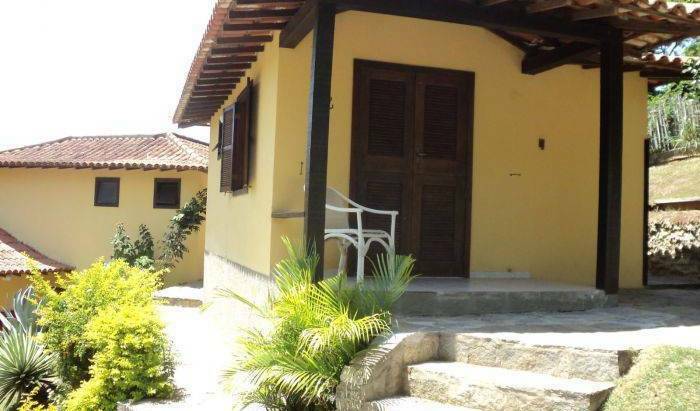 Situated in the Salvador’s Historic Center and Pelourinho, in a colonial building with comfort and privacy. Welcome to Hostel Brasil, a spacious and cozy house in Salvador, the capital city of Bahia in Brazil. Located in one of the city finest neighborhoods, Barra, the best place to enjoy vacations. Beautiful house ran by artists, near the nicest Beaches and Carnival parades. Located only 100 meters from one of the most beautiful beaches of Salvador, To Em Casa hostel allows you to enjoy a strategic place of the city. We are close to everything, situated in the area with the infrastructure for you to feel at home! Inn O Ninho - In great location, next to beach, restaurants, shopping center and others. Salvador, Bahia, Brazil. Our inn is located in the Barra town, tourist neighborhood par excellence to 50 meters of the beach, one of the best of Salvador, with waters calms and transparent ideal for people of all the ages, where they can enjoy the best sunset of Salvador. Casa Vila Bela is a charming bed and breakfast guesthouse, settled in a fully restored XIX century house in the Pelourinho, historical area of Salvador classified by Unesco World Cultural Heritage in 1985. Turismo de Compras na Fronteira da Paz. O Santos Hostel é a mais nova opção de hospedagem na baixada santista!Com preços baixos sem perder o conforto. Artsy, Convenience, Interactive, Comfort, and Affordability are our main attractions. We are 50 meters from the train station and Luz subway with access to buses airports, and any place of São Paulo with extreme ease. A really chill and lay back hostel in one of the most famous and charming bohemian and cultural neighbourhood in Sao Paulo. We're a brand new hostel with 21 rooms in São Paulo, located close to Paraiso metro station and famous Paulista Av. Our facilities includes kitchen, bar/restaurant, lockers and much more. Hostel descontraído feito de velhos amigos para novos amigos. Sampa Hostel is a place in the heart of São Paulo, at Vila Madalena! Located in Sao Paulo , Brazil Boutique Hostel offers accommodation with air conditioning and free Wi - Fi available throughout the property . You will find several bars and restaurants nearby. Buffet breakfast is included in the rate. 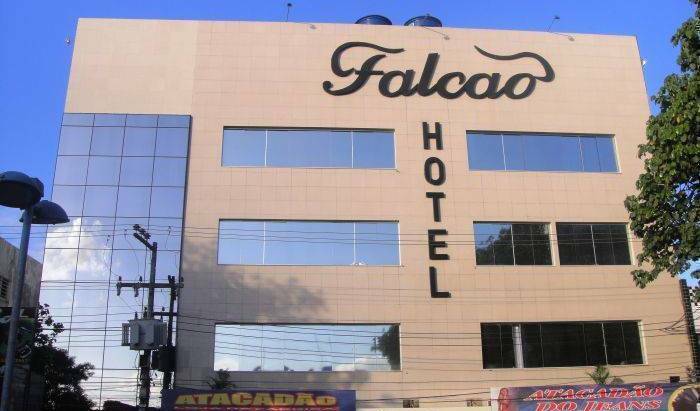 This hostel is well located in Sao Paulo´s business district, only 2 km from famous Paulista Avenue. It is 6 km from Congonhas Airport, and offers free Wi-Fi. calm, charming and cozy hostel at the most lively neighborhood in Sao Paulo, Brazil. Our rates includes it all, here you don´t have to pay any extras, we gave you linen, towels, breakfast, and wireless internet. Comfort, economy and safety in the heart of one of the best districts of São Paulo, near the famous Paulista Avenue and next to the best restaurants, bars, nightclubs and theaters of the city. Escambo Hostel is a high quality accommodation located at the central and most important area of the city (two blocks from Paulista Avenue). We deserve a special bar, fully stocked with Brazilian craft beers! Hostel Vergueiro. Quality is our priority. We are located at the downtown subway of Sao Paulo. Welcome to enjoy our hospitality. How would you like to explore a new place, meet new friends, have amazing experiences and at the same time feel like you're in the comfort and convenience of your home? The best place to stay in Vila Madalena, São Paulo. The property itself is a calm and relaxing place, with lush greenery and open architecture creating an inviting atmosphere for guests. Our focus is on comfort, privacy, sustainability, and promoting the interaction of guests with one another. Looking for sun and nice beaches? the best surf spot? a cool small hostel? And only one hour from Rio ... ... Come to join our warm welcome, hospitality & good vibes !!! Hospedagem rural, cachoeiras, ecoturismo, esportes radicais, meditação, espiritualidade. Ubatuba Ecologic Hostel and Pousada is in Perequê-Açu beach, is close to the northern beaches of Ubatuba (the best), public transport and the city center. It is an oasis of tranquility in Ubatuba.